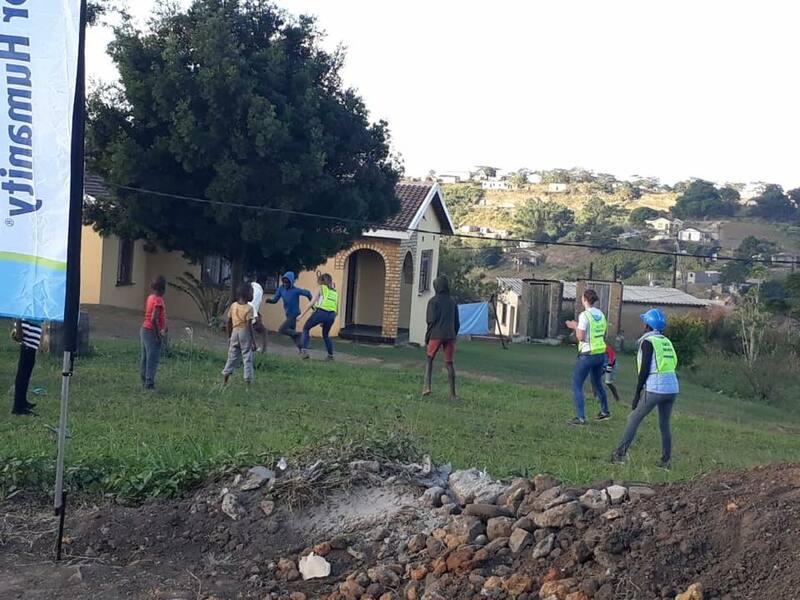 This was a post shared on the German Global Village volunteer group’s social media page in preparation for the week’s build in Mpushini, KwaZulu Natal in the first week of June. 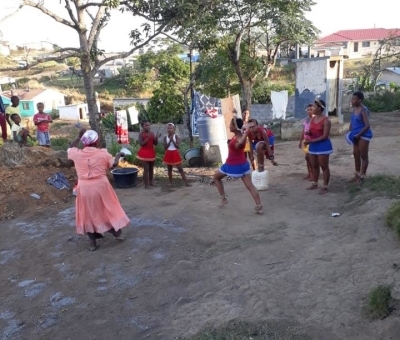 The group of 9 students joined hearts and hands with the Ngubane family who have been living in Mpushini for the past 50 years in extremely unpleasant conditions. The mud house that the family occupied had 4 rooms and was very uncomfortable to live in during winter and summer. 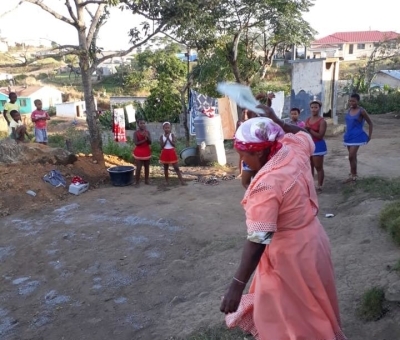 Sholoni Ngubane is the head of the family and she is the mother of 5 children, although unfortunately three of her children have passed away. 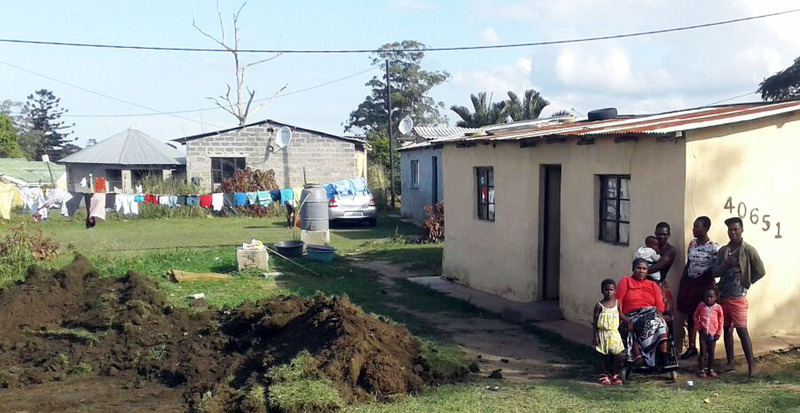 The Ngubane family suffer from the daily challenges of poverty. Bhekisisa Ngubane (47), is unemployed and he has no children. 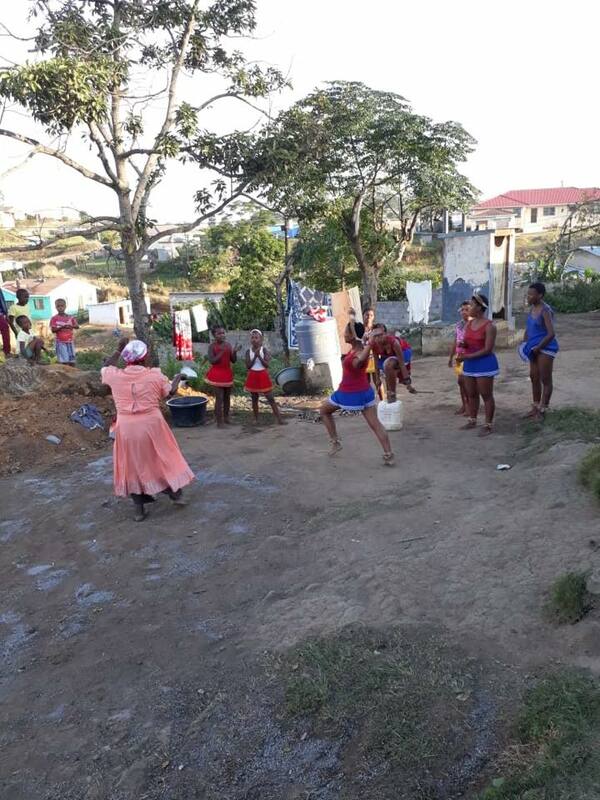 Buyisele Ngubane (43), is also unemployed and she has 4 children between the ages of 10 and 21. 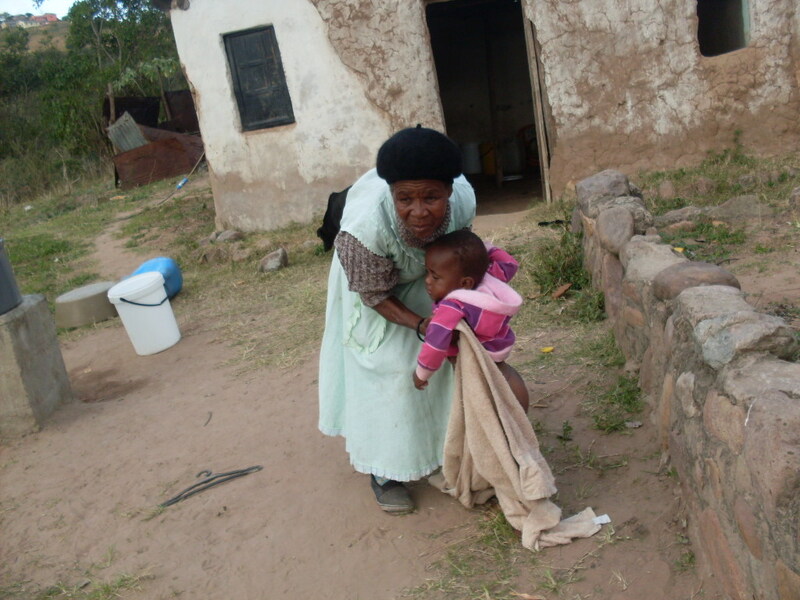 All of her children are in school except for the 21 year old who is unable to find employment. 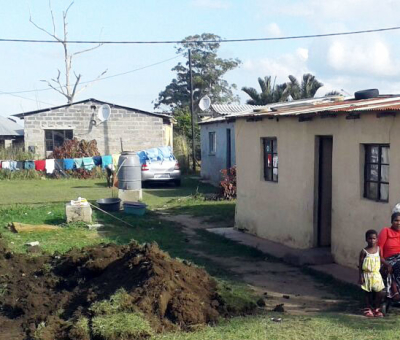 The only income this family receives is from a Government social grant which barely covers the necessary items each month. 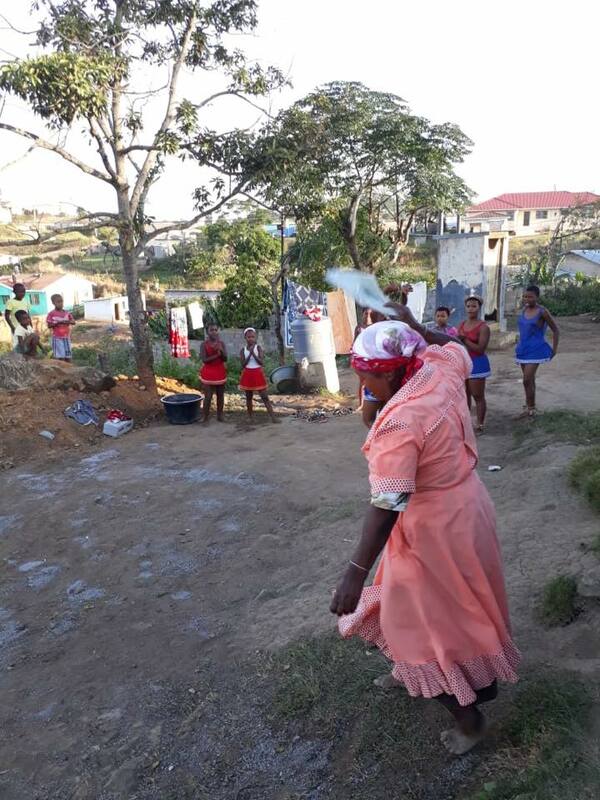 Buyisele Ngubane struggles with her health as her leg was severely damaged when she was young, resulting in her having to use a wheelchair. The doctors mentioned at the time that she would not be able to walk again, yet Buyisele persisted and was able to strengthen her leg as a result. 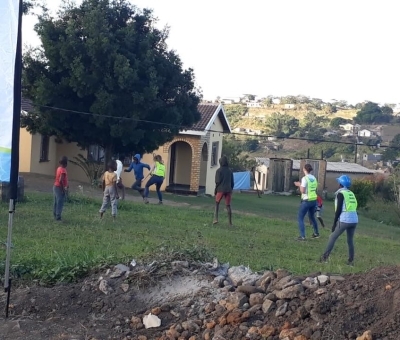 The German volunteers participated in a joyful celebration of traditional Zulu song and dance on the final day when they dedicated the Ngubane’s new home to them. It is an incredible connection to witness as a week of engagement and working together for a common cause bonds ties across cultural divides. 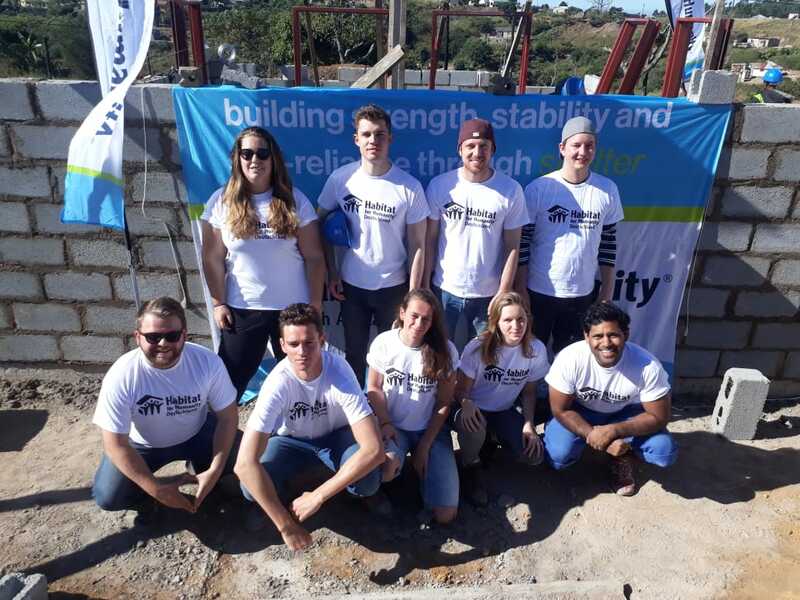 Thank you to the team for the generosity of spirit displayed and to Habitat for Humanity Deutschland for facilitating the logistical detail involved in a Global Village team send. 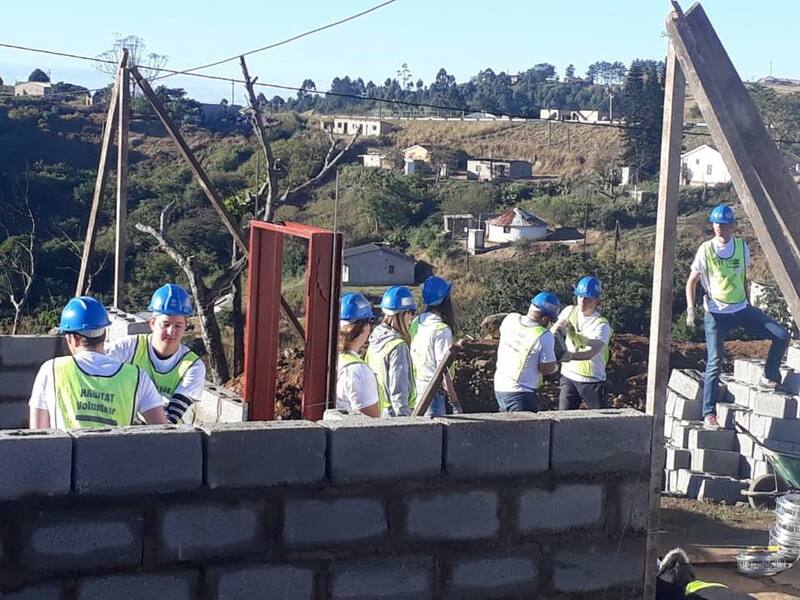 Through Habitat for Humanity’s Global Village trips, teams are given the opportunity to volunteer abroad with Habitat in more than 40 countries. The trips offer more than just the opportunity to swing a hammer. When you travel and volunteer with Global Village, you’ll experience the country like a local, with the locals. Meet people from around the world with all different kinds of backgrounds, races and religions. 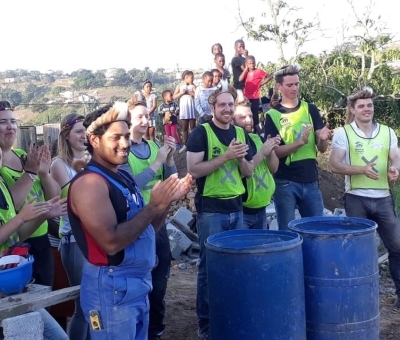 Volunteer participation in one of these trips helps support Habitat’s ongoing homebuilding efforts. 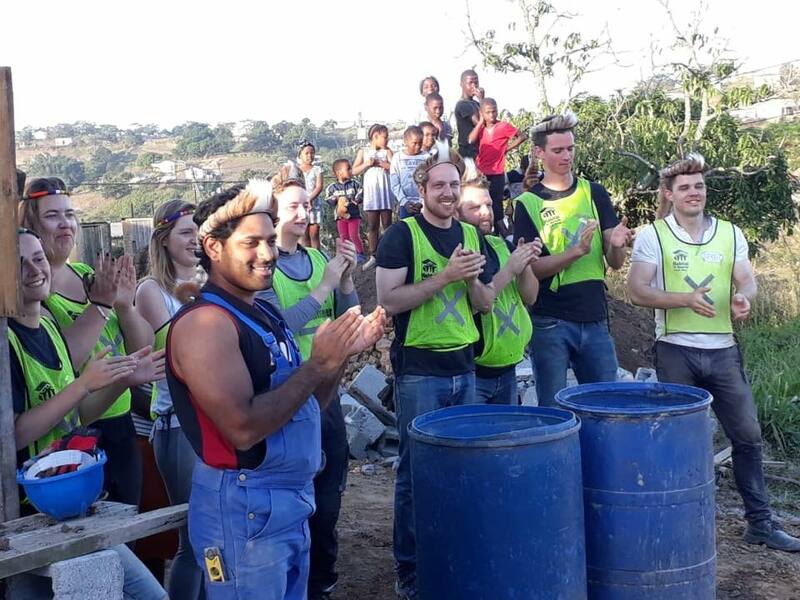 While your personal trip may last for a week or more, your financial, emotional and physical contributions can be life-changing for both those in the communities where you work and in your own life for years to come. 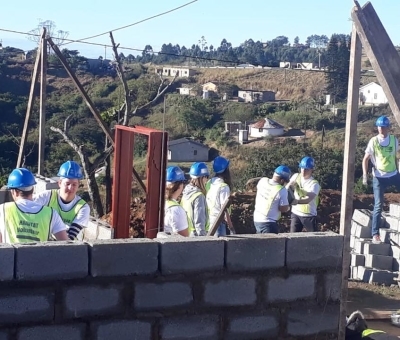 If you are interested in participating in a Habitat Global Village volunteer team, you can follow this link to find out more.